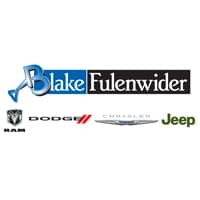 If you find the car-buying process to be overwhelming and confusing, turn to the auto financing professionals at Blake Fulenwider Dodge . Our Chrysler, Dodge, Ram and Jeep dealership near Abilene, TX, looks to make the car-buying process easy and hassle-free — even if you have good, bad or no credit! Our Ram finance center works with a network of nationwide banks and lenders, because we’re determined to find you the most competitive Chrysler, Jeep, Ram and Dodge financing rates on the market. Whether you want to weigh the pros and cons of buying vs. leasing a car, estimate your monthly car payments or value your trade, our Dodge financing specialists are here to go to work for you. Plus, we even look to help you save with exclusive Ram financing specials and Jeep lease offers that you won’t find anywhere else. If you want to become the proud owner of a new Chrysler or Dodge SUV, get pre-approved online today! Get pre-approved online today.